I started exploring the idea that safety match-book matches might be lit if I treated them like fire-by-friction wood… that is, if I pre-heated the match by rubbing it slightly before I used a mild friction surface to strike on. It worked on the ceramic bottom of a cup, so I enthusiasticly showed my son who just plain struck it quickly and succeeded. I continued to explore this discovery and found other objects that worked, such as a medium surface sharpening stone, and a semi-glossy brick. Surprisingly, you can strike a match on a pane of glass too, but it can cause damage to the glass. This entry was tagged Emergency, Firecraft, Friction, How To, Light, Match, Matchbook, Strike, Tricks. Bookmark the permalink. 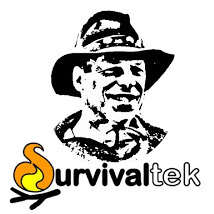 hey survival tek ever try putting match heads in a fire? you shold try it its an easy tinder to light and they will ignite other tindr fast. Hmmm… Match heads don’t take up much room to carry in a water tight container, and they do pack a punch! Good idea!